The term halal (Arabic حلال, also transliterated ḥalāl or halaal) refers to the set of practices allowed by the Muslim religion. The term itself encompasses all kinds of practices, but is commonly associated with acceptable foods according to sharia, or Islamic law. The opposite term, which expresses the prohibited practices, is haraam. For food to be considered Halal, it must conform to the norms of the Koran, the traditions of the Prophet, and the teachings of Islamic lawyers. Halal products not only look at the ingredients that were used in the production, they also have certain requirements in the processing. The raw materials, ingredients and additives used to produce a Halal product will have to have a Halal certificate from the Halal Institute or another entity recognized by it. From the elaboration, the production process of a Halal product will be done separately in time and space to the one of Haram products. All processing steps, storage of raw materials, internal transport, handling, cooking, pasteurization, frying, labeling, preservation and any steps affecting the production process shall be carried out in a way to ensure that there is no cross-contamination with other Haram products. 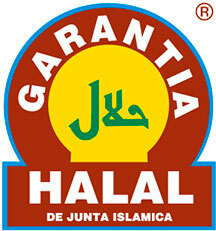 The machinery must be in the hygienic-sanitary conditions required to make the production of a Halal product. From the analyzes, the processed meat products will have to undergo DNA detection analysis of Haram products before they are released to the market. L&P Global respects the different religious communities and offers olive oils that are accredited by The Halal Institute of the Islamic Board of Spain.